Site visitors in most cases are just not interested to provide more information than they actually need. And we can't really blame them for that. One such information is profile avatar. If it's not required, most people will not care to change it. That's just it. 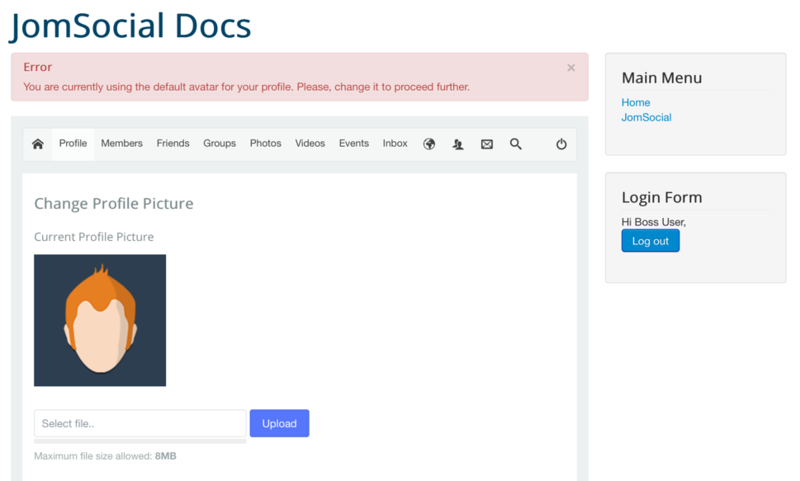 This plugin fixes the problem by forcing user to change avatar before doing anything else, on entire website. 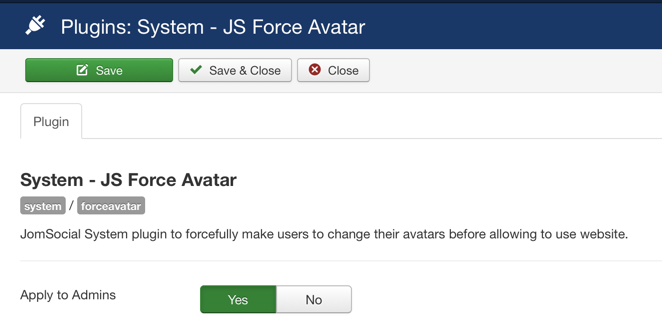 Plugin will check if user is using a default avatar, either set by default or one from Theme Designer and force the avatar change. Because this is the System plugin, it will work on pages other than JomSocial too.